Police officers shot and killed two men in separate confrontations late Tuesday night in Weber County  one in Ogden, the other in Roy. Shortly before midnight Tuesday, an Ogden police officer patrolling a downtown parking structure confronted two men who allegedly were prowling cars. The men, wearing dark hooded sweatshirts, split up and ran from the officer at 313 E. 23rd Street. Other officers located one of the suspects at 11:47 p.m. on a lower level of the Junction parking structure. That man "pointed a handgun at the officers. In response, the officers shot the suspect, identified as Bartolo Justice Sambrano, 25. Sambrano was pronounced dead at the scene. 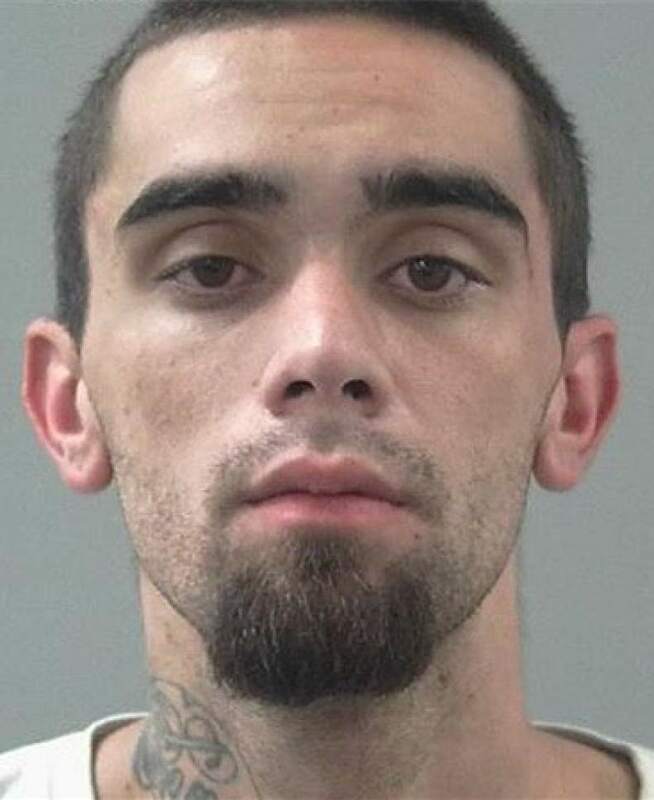 Ogden Police Chief Randy Watt described Sambrano as an ex-con with gang ties who had been a fugitive since escaping Dec. 9, 2016 from a work release program at Weber County Jail, where he had been incarcerated for illegal possession of a firearm. He also was sought in a Feb. 15 home invasion robbery during which shots were fired but no one was injured. Watt said that while both officers fired, he could not say whether bullets from both officers&apos; guns struck Sambrano. More details on the fatal injuries will come from a planned autopsy. The second, 20-year-old suspect also was located nearby and taken into custody, uninjured. By Wednesday morning, he had been questioned and released. Watt said, though he remained a person of interest in the earlier home invasion investigation. Both Ogden officers, who were not identified, were wearing body cameras, Watt confirmed. Footage from those cameras had been turned over to the Weber County Attorney&apos;s Office, which is reviewing the shooting. Watt said it would be up to that office as to when and if the cameras&apos; video is released. While noting that the investigation into the shooting had just begun, Watt said his preliminary look at the incident indicated his officers fully followed policies and protocol for use of deadly force. About two hours earlier Tuesday, two Roy police officers responded to a complaint about a trespasser at the Texaco gas station, 4395 S. 1900 West. Roy police Detective Josh Taylor said the officers confronted a male suspect outside the business about 10 p.m. During a physical struggle that ensued, the suspect allegedly pulled a revolver and officers shot him. Taylor did not release details about how many times the suspect was shot, or if he also fired at officers. Roy officers also were wearing body cameras at the time of the shooting and video has been turned over to the Weber County Sheriff&apos;s Office for review. Police did not release the identity of the deceased, man believed in his late 30s, pending notification of next of kin. None of the officers were hurt in either of the incidents; all four officers were on administrative leave pending results of the review.